40 yr old woman presented to her Primary Care Physician repeatedly with complaint of a lump; no referral to a specialist, no follow-up examinations. She was told it was nothing to worry about. Expert review determined the resulting delay caused progression from stage 2 to stage 3C. My client, an immigrant, sub-contracted laborer working on a school roof-replacement project, fell through a thin sheet of 'tectum' that had been placed in an area being prepared for replacement. He suffered a fracture in one of his vertebrae. After litigating the case in Nassau county Supreme Court, the contractor's insurance company settled. The patient suffered a "failed graft" following triple by-pass surgery, and died during a second surgery to repair the graft. This should not have happened - if the sutures attaching the graft had been properly done the first time - and this patient was not strong enough to withstand the second surgery. Unfortunately, he died during the second surgery. 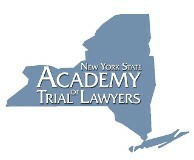 A Court of Claims case against a New York state facility for developmentally disabled adults. While staff were standing by, the deceased choked on a breakfast item, asphyxiated, and died. Whereas the State maintained it was the family's responsibility to inform the facility of the deceased's particular risk of choking, staff at the facility failed to follow the patient's dietary plan, as ordered by the facility's own physician, who also failed to do a simple 'swallow test' on the patient when she joined the facility. Gallbladder removal surgery complicated by heart disease, high blood pressure and use of blood thinners resulted in hypovolemic shock without any hospital intervention for seven (7) hours after the surgery - the patient suffered a cardiac arrest and died. This medical malpractice case involved a 67 year old bed-ridden patient who was neglected by staff in a rehab facility after he underwent hip-replacement surgery. Despite repeated, written skin integrity evaluations in his chart alerting staff to a developing ulcer on his right heel, it was neglected, permitted, and allowed to progress to a ‘deep tissue injury’ beyond stage III (thus classified as unstageable), with deep tunneling, tissue necrosis, and cellulitis. Ultimately, he underwent several painful debridement procedures to treat this injury. Classic signs and symptoms were missed until it was too late, and the patient was diagnosed with stage IV colon cancer that killed her- according to my expert oncologist, it should have been caught earlier, and she could have been successfully treated, had the hospital not been negligent. Breast cancer survivor, post mastectomy & reconstruction, sitting in a parked car, was injured after a vehicle hit her car in the rear, causing a recent breast implant to shift from its position, requiring that she undergo a second 'implant exchange' surgery. Trip and fall due to a mis-leveled sidewalk flagstone outside a Manhattan residential building. The defect was known to the building management, but they did nothing to remedy it. Client sustained facial laceration, requiring stitches. * Client confidentiality is respected and settlements are often confidential.